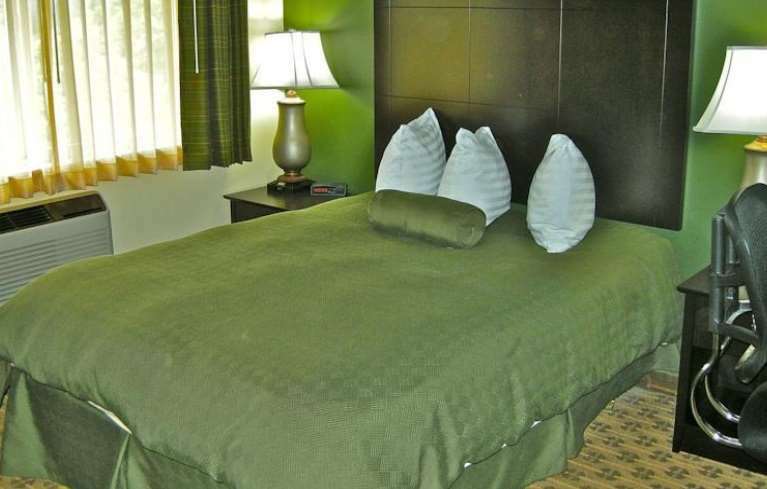 The Sunset Motel offers Free Wi-Fi, modern amenities and a convenient location near attractions in town make. The pet-friendly Sunset Motel Hood River is an excellent pick and the ideal retreat for travelers planning a vacation in the windsurfing capital of the world. All 36 rooms at this two-story property include flat-panel cable TVs, free Wi-Fi, microwaves, mini-fridges, safes and free local calls. Small pets are welcome for a nightly fee and with notice. Located on Route 30, one mile off I-84, the Sunset Motel is two minutes from Hood River Waterfront Park. It's five minutes from the Mount Hood Scenic Railroad and two-and-a-half miles from Indian Creek Golf Course. Drive three-and-a-half miles to the Western Antique Aeroplane & Automobile Museum. The Columbia Gorge Interpretive Center and the wildflowers at the Tom McCall Nature Preserve are a half-hour east. Drive 50 minutes west to Columbia Gorge Premium Outlets and 50 minutes east to Multnomah Falls. Mt. Hood Meadows Ski Resort is 25 minutes south. Portland International Airport is 60 miles west. This Stonehenge is built of solid reinforced concrete, the American way, not like England's crumbling pile of rocks. ~35 miles from Hood River. Built in 1945, destroyed in 1989, restored in 2012, the "world's tallest bear" is a 34-foot-tall topiary scaffold slowly being covered with ivy. ~36 miles from Hood River. ~45 miles from Hood River. A parting shot at an unloved hippie Eastern cult that tried, and failed, to take over the town. ~68 miles from Hood River.